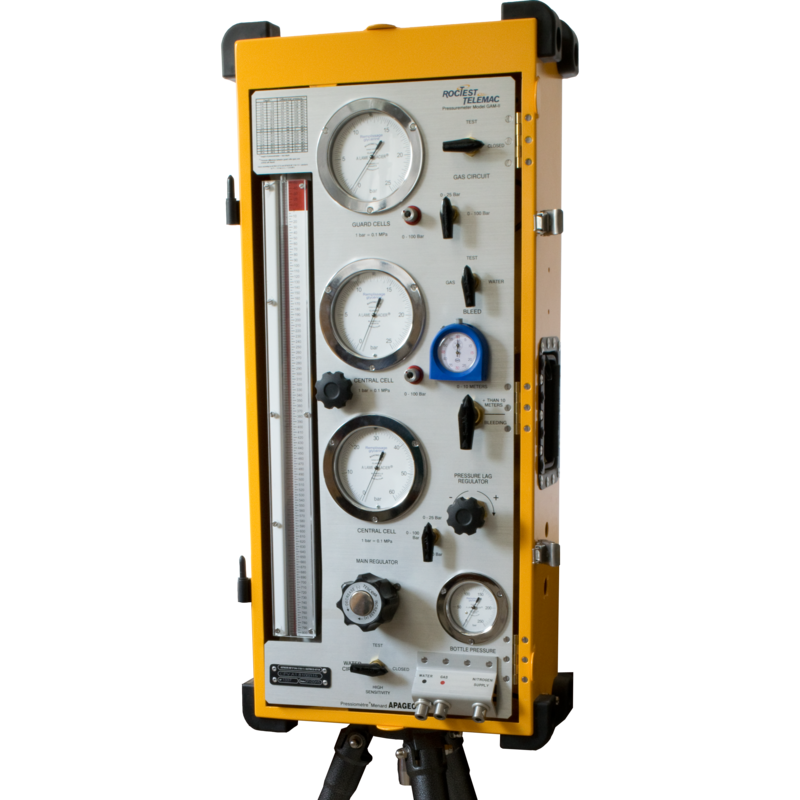 The G-AM II pressuremeter is an efficient and economical instrument for the evaluation of most ground engineering problems. A cylindrical metal body with an inner rubber membrane and outer protective sheath mounted so as to form three independent cells. 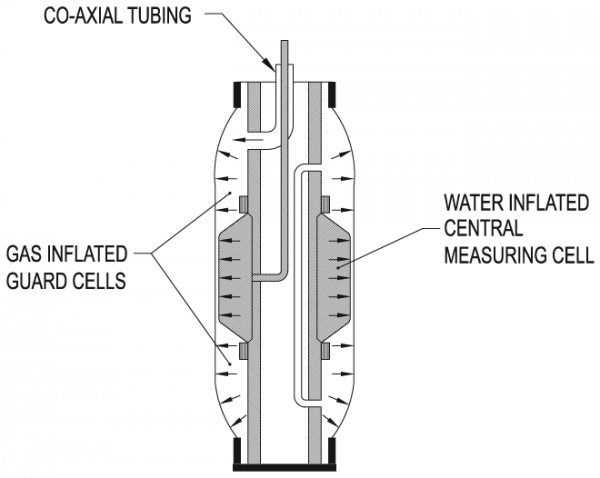 The central cell is inflated with water and the guard cells with gas. The case houses all the regulators and valves required to reduce and control the pressure applied to the probe cells. It also contains a reservoir which supplies the flow of water to the measuring cell. The volume variations during a test are read on a sight tube. The control unit comes with gauges in the 0-25, 0–6, and 0–10 MPa, which is the range needed for most soil applications. Two gauges are provided, eliminating the delicate differential pressure gauge. 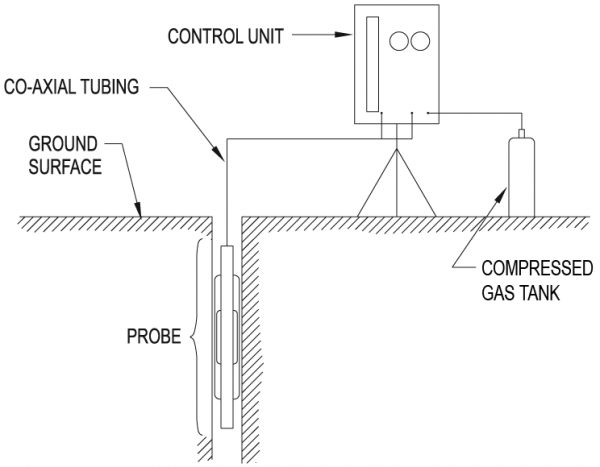 The probe is placed at testing depth by insertion in a pre-drilled borehole or, in special conditions, driven to the test depth within a slotted casing. Stress control is used to run the test. 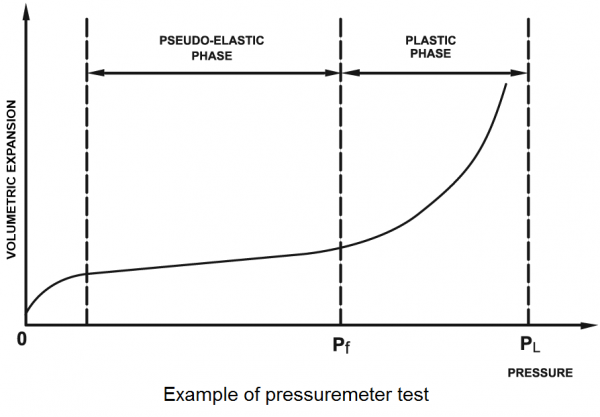 Equal increments of pressure are applied to the probe and held constant. The volume changes are noted 30 and 60 seconds after each pressure step is reached.